Sunday Times chief sports writer David Walsh claimed a double win at the first British Journalism Awards (BJA) tonight, picking up both the Sports Journalist of the Year and Journalist of the Year prizes. Judges praised Walsh for his 13-year investigation into Lance Armstrong, which exposed the cyclist as a drugs cheat and led to him being stripped of his seven Tour De France victories. The judges said: “David Walsh became a pariah for years in his chosen sport in order to get to the truth of this story. “He pursued it and pursued it.The US Anti-Doping Agency would never have taken Armstrong on if it hadn’t been for David Walsh. On presenting the Journalist of the Year award to Walsh, the judges said: “This year will go down in history as one of the greatest ever for British sport. "So the judges thought it was particularly fitting that the pre-eminent candidate for overall journalist of the year was a sports journalist. "David Walsh’s investigation into doping by Lance Armstrong was great news story, not just a great story, it was huge." Click here to read our October interview with Walsh. The awards also recognised Walsh’s former Sunday Times colleague, foreign correspondent Marie Colvin, who was killed while reporting in Syria in February. BJA judges unanimously decided that Colvin deserved a special award for being a reporter who did “more than any other to inspire journalists, young and old”. Sister title The Times also had two winners, with Alexi Mostrous and Fay Schlesinger winning Investigation of the Year for their work on tax avoidance. The investigation was judged to be “both interesting to the public and in the public interest”. Andrew Gregory, of the Daily Mirror, and Steve Back, of political pictures, won the Breaking News Award for their scoop on politician Oliver Letwin dumping secret papers into a park bin. “This was a great, old-fashioned scoop,” said the judges. Meanwhile, Political Journalist of the Year went to investigative journalism website Exaro’s David Hencke for a series of tax avoidance stories published across the national press. New Journalist of the Year award, went to Emma Slater, in part for her work at The Bureau of Investigative Journalism. Slater, whose entry also included work for BBC Panorama, was described by judges as a “big issue journalist”. 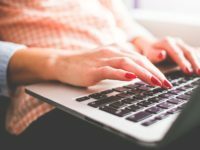 “Emma’s story was all about big stories and big targets,” judges said. The Guardian newspaper also got in on the winners’ list, awarded Innovation of the Year for its Reading the Riots project, led by Paul Lewis. The “unique exercise” saw The Guardian collaborate with the London School of Economics to interview 500 people involved in last year’s riots. Judges described it as a “massive piece of work and beautifully presented”. 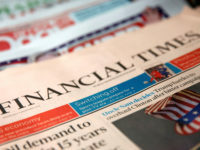 The fifth national newspaper to claim a prize was the Financial Times, with economics editor Chris Giles winning the Business Journalist of the Year award. Giles was recognised for his in-depth account of the inner workings of the Bank of England, which took several months to complete. “His piece about the Court of King Mervyn would have been a must-read in the City of London and at Number 10 and 11 as well,” judges said. The Science Journalist of the Year award went to Tom Feilden of the BBC’s Today Programme. Feilden was praised for stories covering a variety of subjects in the scientific world. “His expertise in the field means that people trust him and they talk to him,” judges said. The award for Photojournalist of the Year, which went to Getty Images’ Matt Cardy. One of four Getty photographer finalists, judges reserved particular praise for Cardy’s picture of locked-in syndrome sufferer Tony Nicklinson, after he lost his battle of end his own life (above). Emma’s entry was all about big stories and big targets. She’s a big issue journalist. Her piece in The Independent on the return of the super grass was simply written, but very well crafted dealing with a complicated story. "This was an investigation which was clearly both interesting to the public and in the public interest. A brave and determined investigation which exposed high profile rich figures who were effectively stealing from the poor." 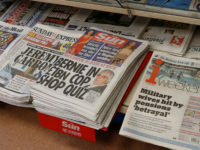 In a unique exercise for British Journalism The Guardian collaborated with the London School of Economics, with funding from two charitable foundations, to interview 500 people involved in last year’s riots and gather two million words of testimony. The judges described it as “a massive piece of work and beautifully presented” and they were particular impressed with the interactive elements, the clever interpretation and presentation of data and the use of print, video and digital platforms to tell a complex story. 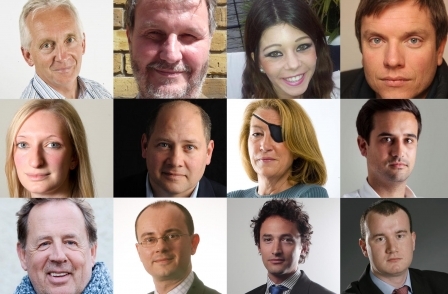 The British Journalism Awards judges felt very strongly that a special award should be given this year to a journalist who more than any other has raised the reputation of our trade through their actions. Over a 25-year career at the Sunday Times Marie Colvin repeatedly risked personal danger to shine a light into some of the world’s darkest places – providing a voice to the voiceless and exposing the plight of the innocent victims of wars. Is 12-year-old Mica Britain's youngest sports reporter?